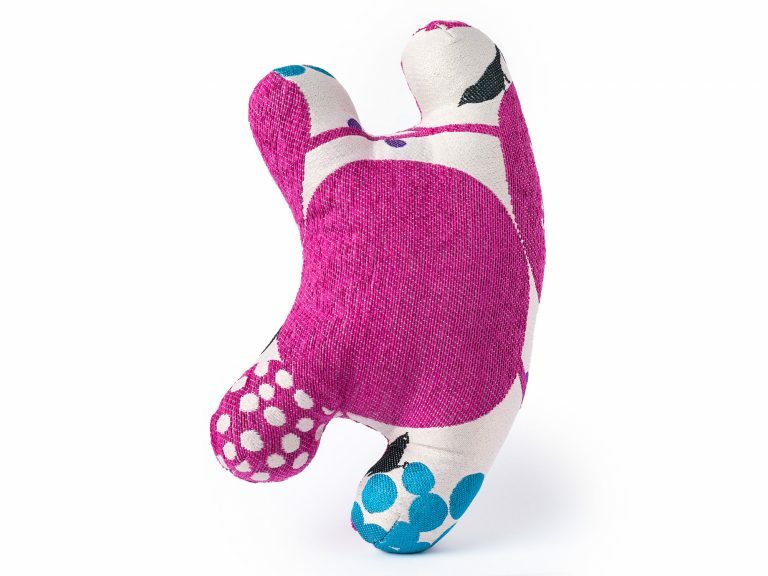 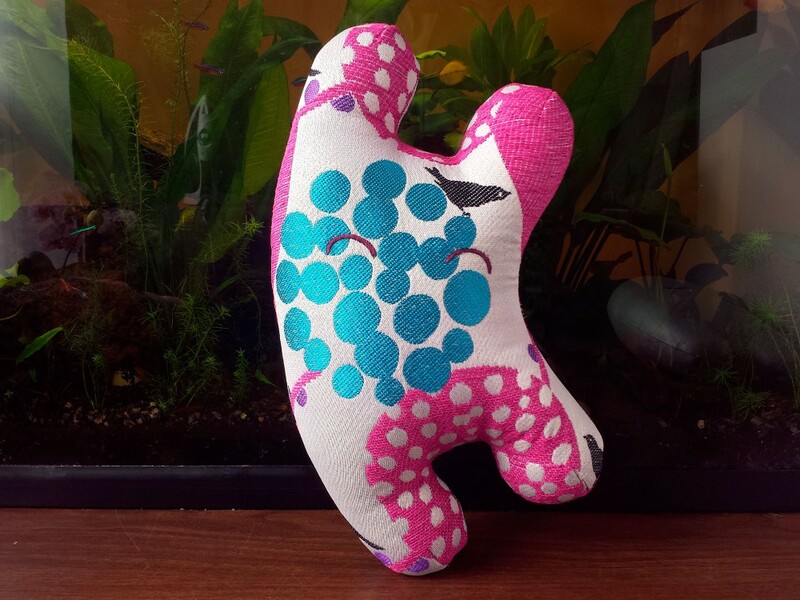 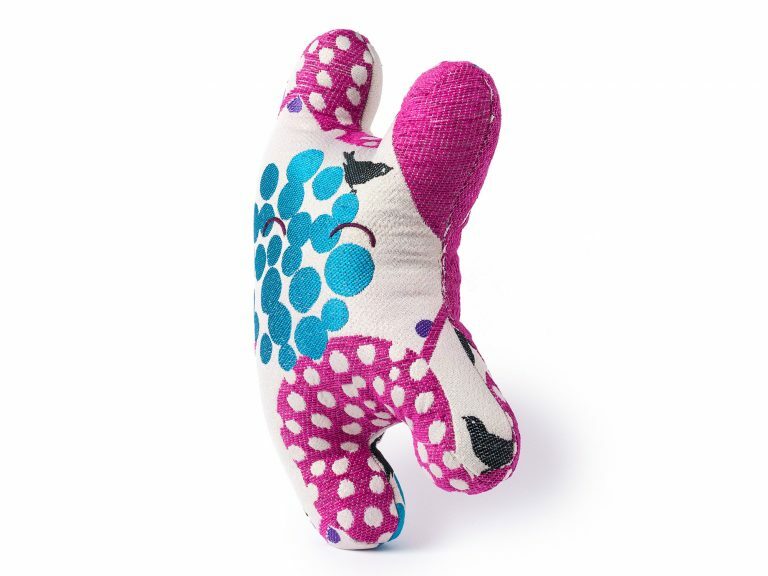 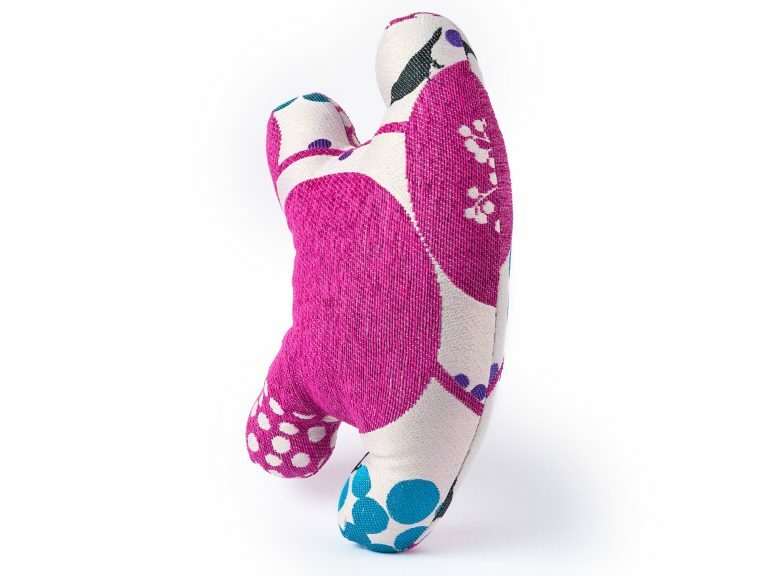 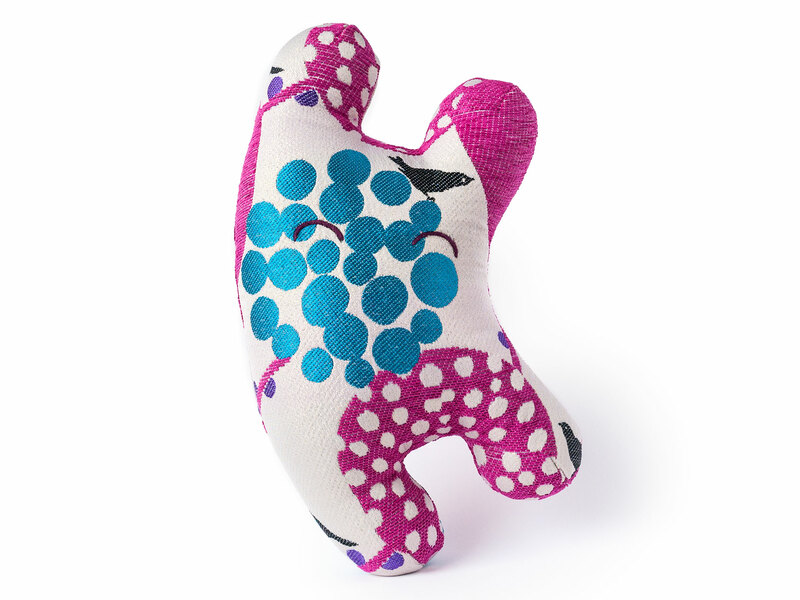 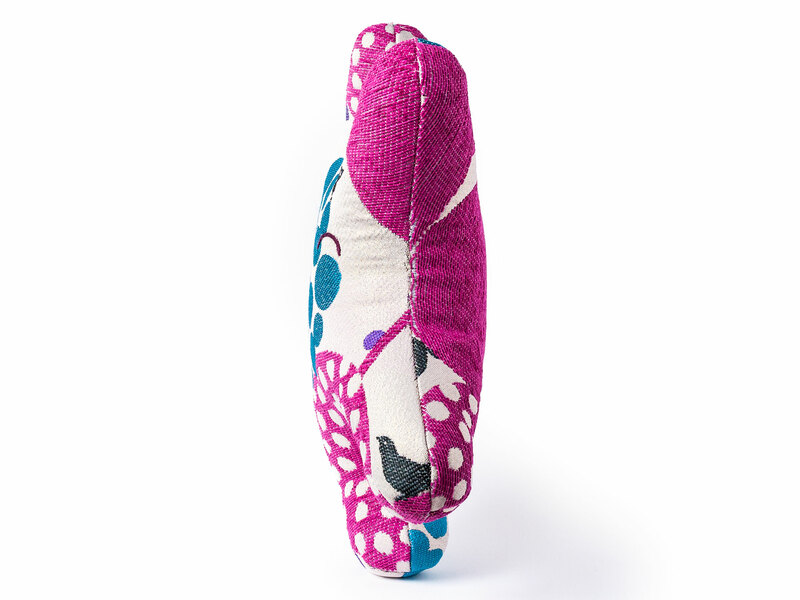 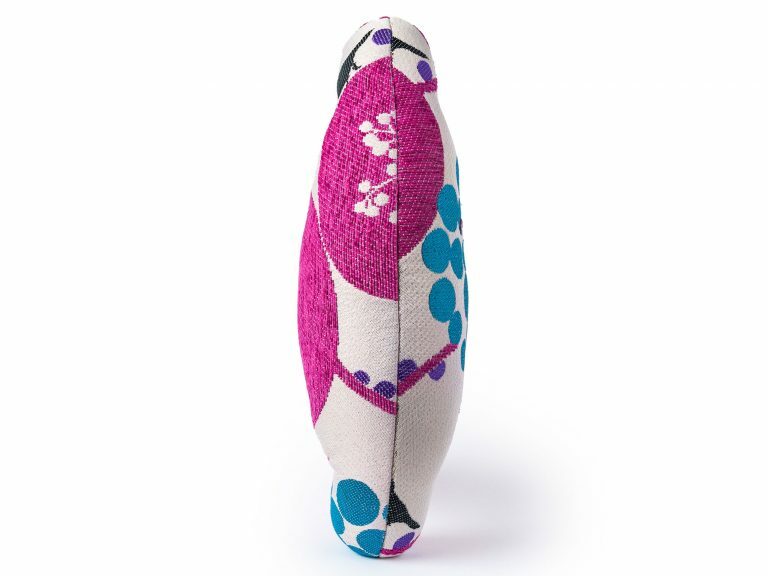 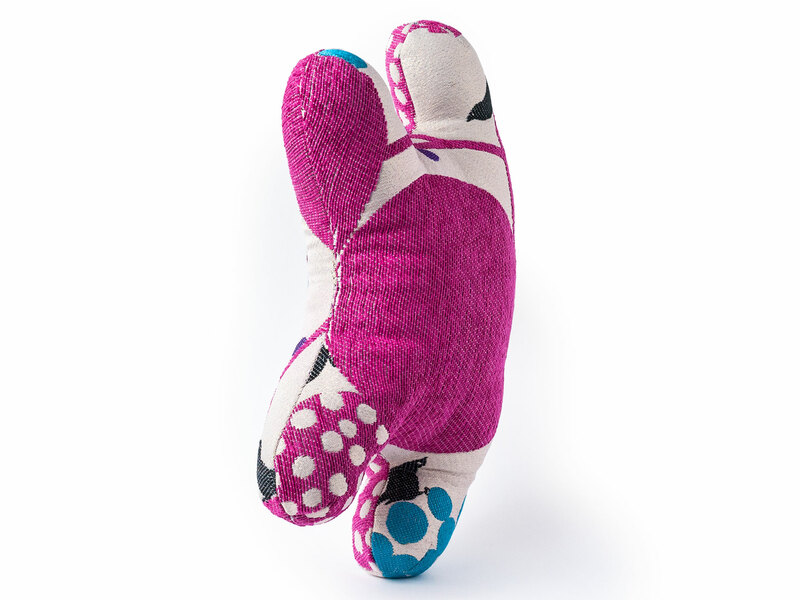 Happy Sleepy Madison is a one of a kind textile sculpture made from a Japanese novelty fabric. 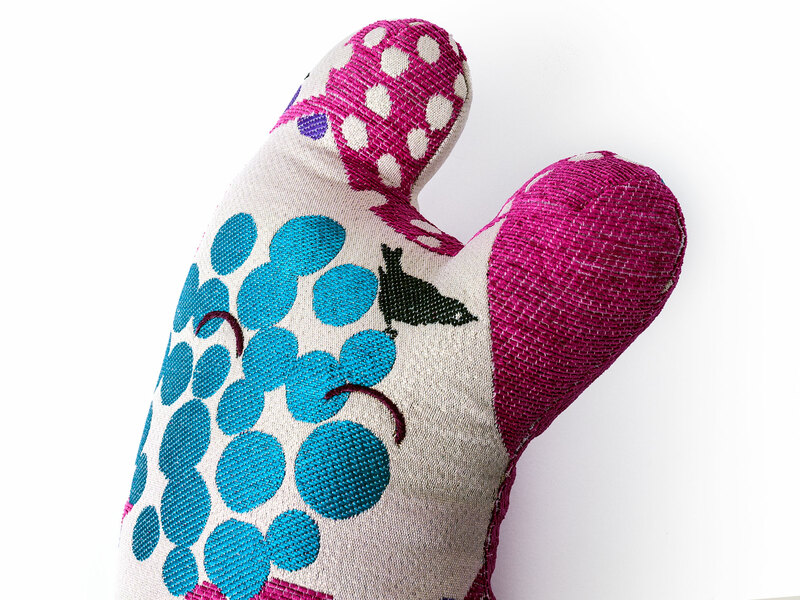 The eyes are hand embroidered with matching dark purple embroidery floss. Happy Sleepy Madison was named after Madison Square Park in Manhattan. 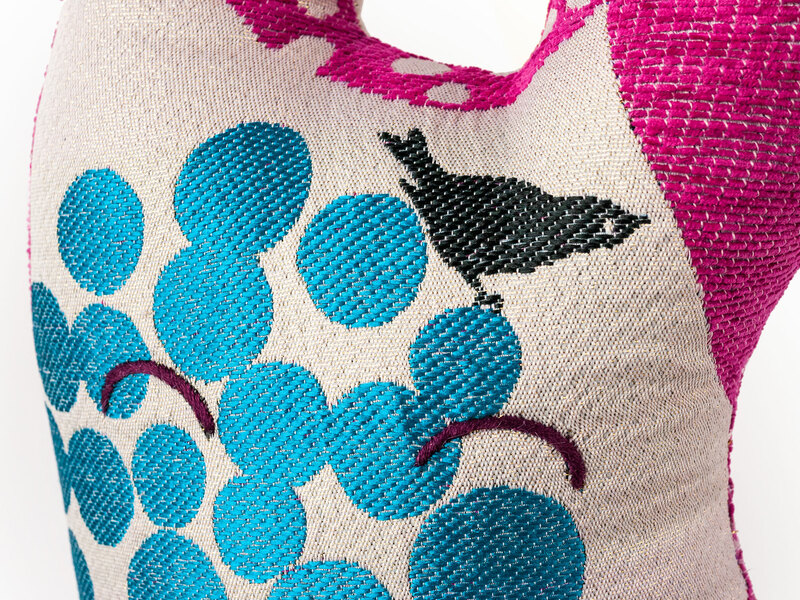 Although the fabric is from Japan, the fabric reminded us of this very urban park.